Pomegranate Christmas Stocking by Rosewood Manor using only 3 colors of SIlk Lame Petite. Stitched on 28ct Antique Count White Linen. One of six patterns available through Rosewood Manor. 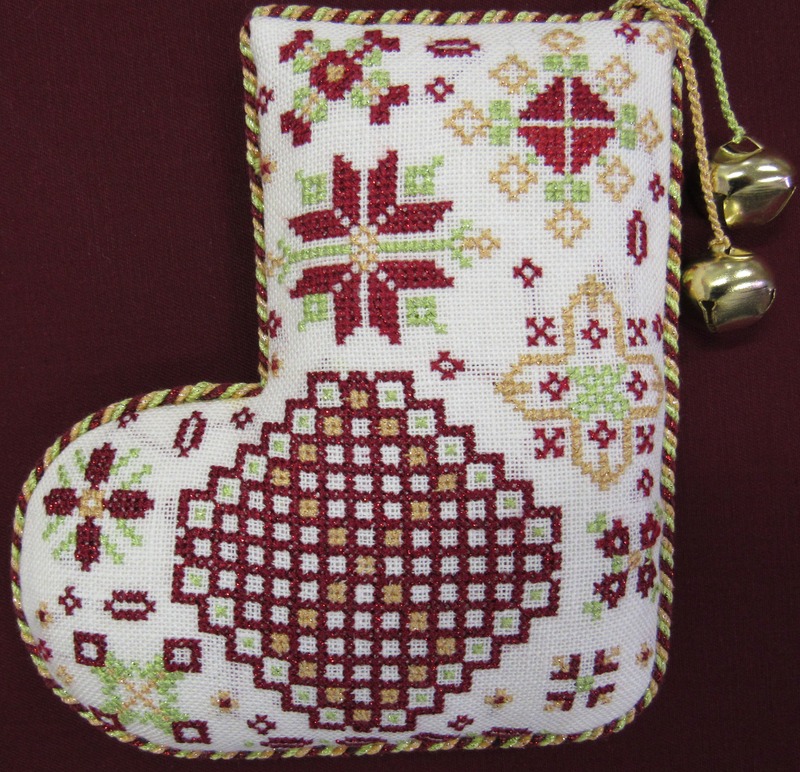 Thank you to Karen Kluba for permission to post the Pomegranate Christmas Stocking on our website.